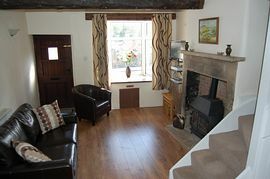 May Cottage is a charming stone cottage set in the delightful and friendly village of Tideswell, only two minutes walk from the local shops and services. Ideally situated in the heart of the Peak District and within easy reach of the market towns of Buxton, Bakewell and Matlock. Built in the early 1800s May Cottage has recently been renovated to a high standard, retaining original features together with all modern amenities. 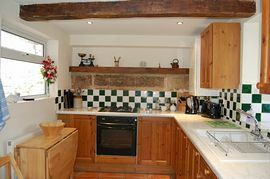 With original oak beams and stone fireplace, the cottage offers a comfortable sitting room and fitted kitchen with folding dining table and four chairs. 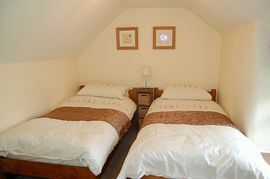 There is also an outhouse with washing machine and separate tumble dryer. Tideswell is one of the Peak Districts most popular picturesque villages and is an ideal base for walking, cycling and climbing. The village has several shops including cafes, a bakery, Co-Op and four pubs. Guests can easily spend their whole stay on superb local walks that start from the front door of the cottage and pass through Tideswell Dale, Litton Mill, Cressbrook Dale, Millers Dale and the Monsal Trail. 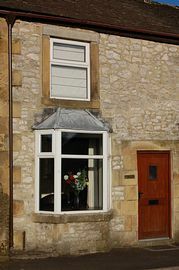 May Cottage is conveniently located for the nearby market towns of Buxton and Bakewell; it is a short drive away from Chatsworth House, Haddon Hall, Tissington and Eyam Hall. The Pennine Bridleway, open to cyclists, walkers and horse riders, weaves up through the Peak District to the west of Tideswell. Original stone fireplace and beams. One well behaved pet welcome. Enter Tideswell village and pass the 'Cathedral of The Peak' church on your right. Carry on past the Natwest bank and immediately turn right. At the end of the road turn left onto Sherwood Road and May Cottage is 500yds on the right. 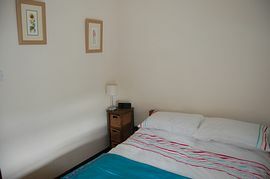 Weekly prices from: £240.00 to pound;380.00.